Can the US balance China’s power? 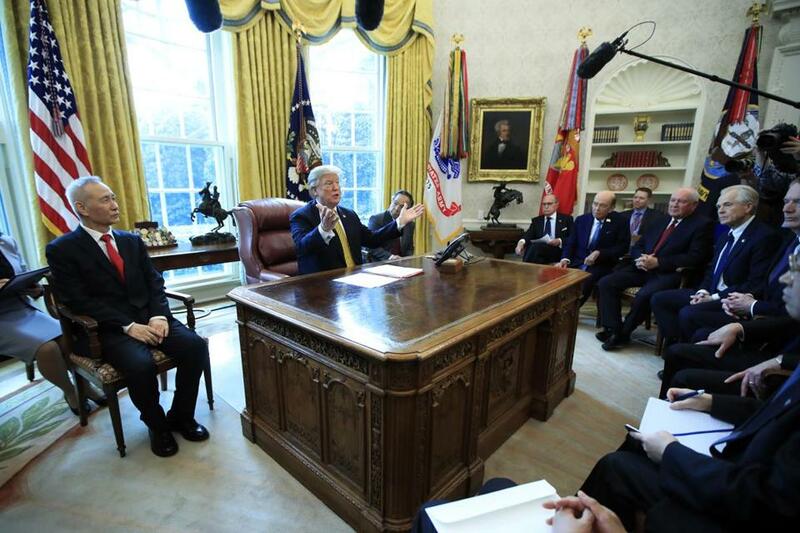 President Trump speaks to reporters during a meeting with China&apos;s Vice Premier Liu He (left) in the Oval Office of the White House on April 4. It is hard to believe these days that for roughly two and a half centuries Britain maintained the balance of power in Europe. But how? However, he added, “before you can have a balance of power there must be power to be balanced. The balancer must not himself be part of the equilibrium, except to tip the scale.” This, Kissinger argued, had been the case in the period after Napoleon’s defeat, when the balancer had been Britain and the power to be balanced had been France. But it was not the case in the early Cold War. Nearly seven decades later, a lot has changed. But has it changed enough for the United States now to become the balancer — to play, in Kissinger’s words, “in relation to Eurasia the traditional role of an island power towards a land-mass — to prevent the consolidation of that continent under a single rule”? Perhaps. If the US loses its dominance over scientific research, the consequences will exceed — and outlast — any short-term commercial gains. The rise of China is the great economic and political fact of our lifetime — a rude awakening for those of us who thought it was the fall of Soviet Union. In 1951 China was an impoverished backwater with a revolutionary government that Stalin easily duped into fighting in Korea on his behalf. Today, thanks to the biggest and fastest industrial revolution in history, China is the superpower, Russia its junior partner. There have been other great changes, to be sure. Shorn of their overseas empires, the European nations have still prospered economically — to the point that the European Union has nearly as large an economy as the United States. But Europe remains militarily dependent on the North Atlantic Treaty Organization, which celebrated its 70th birthday last week. It could not defend itself against Russian aggression without American help. The problem is that many Europeans no longer wholeheartedly believe in the transatlantic alliance. Partly, no doubt, this is because they cannot abide the personality of Donald Trump. But the Europeans didn’t care for George W. Bush either. Nor Ronald Reagan. Nor Richard Nixon. As a general rule, Europeans dislike Republican presidents. What is new these days is the magnetic economic attraction of China. “One Belt One Road” (sometimes called “the Belt and Road Initiative”) was launched by Xi Jinping, in 2013, to expand China’s influence across Eurasia, along the historic Silk Road. The news that the Chinese have persuaded the Italians to join the initiative caused some consternation last month. Enter the new balancing power. On Twitter, the US National Security Council warned the Italians that “endorsing [OBOR] lends legitimacy to China’s predatory approach to investment and will bring no benefits to the Italian people.” On Thursday, Secretary of State Mike Pompeo made a similar appeal to all America’s NATO allies. This is not so much the language of a new Cold War as the language of a new balance of power. China is the would-be hegemon, threatening to dominate the entire Eurasian landmass; the United States seeks to tip the scale the other way. And yet, and yet. 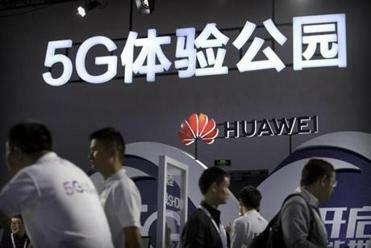 In January, Germany’s leading industrial organization, the Bundesverband der Deutschen Industrie, warned that Chinese practices (e.g., the systematic stealing of Western technology) pose an existential threat. A year ago, a few German business leaders were whispering to me that Trump might, after all, be right about China. Now their politicians are implicitly agreeing. This is the global context within which the farce at Westminster — is playing. Britain, once the balancer, now seems merely unbalanced, a discordant chorus alongside the concert of Eurasia. When a water leak stopped the parliamentary racket on Thursday, I nearly called Kissinger up to commiserate. Back in 2016, we had both tried our best to look on the bright side of Brexit. The irony is that when Britain joined the European Common Market in 1973 — as Kissinger recalls in his memoirs — “the British had told Nixon they might resume their historical role of balancing the continental powers.” These days, that is indeed hard to believe. Niall Ferguson is the Milbank Family Senior Fellow at the Hoover Institution at Stanford University.